Alain F. Carpentier, MD, PhD is a cardiac surgeon involved inboth research and clinical practice. He received his Doctoratein Medicine in 1966 from the University of Paris and in 1975 he received his PhD in chemistry from the Faculty of Sciences at the University of Paris. He was appointed as a member of the cardiac surgery staff of Hôpital Broussais in 1968 before being named Chief of the service in 1982. He has also been appointed Adjunct Professor of Cardiac Surgery at Mount Sinai School of Medicine in New York. Carpentier has authored more than 500 scientific publications and ten books. He is the recipient of many scientific distinctions and awards including the Albert Lasker Medical Research Award in 2007, the Grand Prix Mondial Cino del Duca in 1996 and the 5th Scientific Achievement Award of the American Association for Thoracic Surgery in 2005. 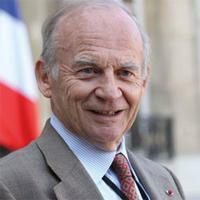 He is an honorary member of several prestigious international scientific societies and universities and was elected President of the French Academy of Sciences in 2011. He has developed numerous teaching programs worldwide, and founded the Vietnam Heart Institute in Ho Chi Minh City, regarded by the World Heart Organization as the most successful program in transferring technology and responsibility to developing countries. Regarded as the father of reconstructive valve surgery, Carpentier developed the world’s first artificial valve used in clinical practice. The “Carpentier-Edwards valve” utilizes chemical processing of animal tissues to prevent immunological reaction when implanted in other species and currently benefits more than 100,000 patients each year. Other scientific original contributions include mini invasive and robotic cardiac surgery. Recently, his research team developed and implanted the first successful artificial bronchus to avoid pneumonectomy in lung cancer.